“He has no interest in political reform,” comes Khashoggi, a voice from the grave. 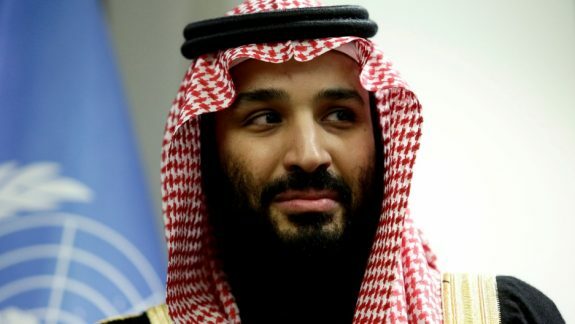 “He thinks he can do it alone, and he doesn’t want really any counter opinion or anyone to share those changes in Saudi Arabia with him.” Hardly revelatory, and something bound to do little to turn the ladies and men of the security establishments of the West. thank you AIMN for publishing Binoy’s writings – it is vitally important for Australians to be informed of the role their so-called democratic institutions play in the obscene global arms trade and aware of Australia’s complicity in US resource wars. The LNP has devolved into a quasi-regime of secrecy about all manner of things that a true democratic state would refuse to hide. Commercial-in-confidence might once have had some support but in the grubby paws of this LNP it is a crude and illegitimate smoke screen – a perversion. Australian values- arms sales to tyrants. Is that what the diggers died for? Yes.